Why pay thousands of dollars for a Jamaican getaway when you can jump right into the ripe beaches and beautiful people in this hot thriller. I loved this story and one of the best aspects within the novel was that all the characters introduced were real and each of them had their own lives, troubles, happiness, growth, and perspectives throughout the pages. 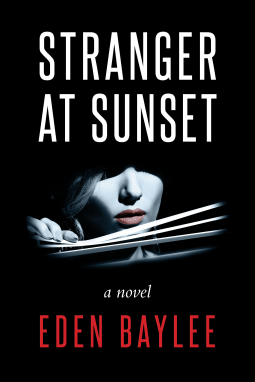 To start off we get to meet Kate Hampton a therapist with her own troubled past who goes down to her favorite vacation Inn during her winter break from work but it isn’t all about relaxing and enjoying herself she is out for retaliation. A grumpy pretentious reviewer who has recently attacked Kate’s friends, Anna and Nolan, and their darling Inn is coming back to gather a second opinion. Another interesting couple taking a vacation won the free trip and these southern lovebirds do not seem to agree on anything at nay point throughout the story. Which one of these characters is pushed to the edge and which one will never return home? Add a few more colorful couples to this story and not only do you have a complexity of people to decipher but you get hit with a full on murder that leaves you clueless for a good chapter or so. Murder lurked around every chapter, which kept me on my feet the entire time. I made every connection of who would kill who and how or why but I kept falling short of the truth. Even after the murder takes place I was utterly confused with who killed him/her, why, and even when I got to read how the person was killed I was still left dumbfounded. Keeping up the suspense and tension in this story really made it a homerun for me. I was frustrated trying to add up all the pieces together and when it finally hit the story didn’t end but added a whole new danger to everyone in the Inn. When the police catch up with the happenings going on at this deserted in you cant help to wonder what would happen next. 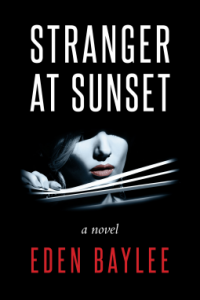 Everyone in this novel has a motive but not everyone has motive to kill one particular person and this is when the twists and turns start to aggravate and entertain. I spent most my night tossing and turning trying to figure it all out but so worth the read. I recommend this to anybody who enjoys a bit of suspense in his or her life!